One of the trendiest models in spring and summer 2016 will still be “boyfriend jeans”. As for the length of this model it varies from classic to familiar 7/8. Designers also paid their attention to the models with turn-ups, flare and fringe.You can choose some ofthem in MONATELIER's workshop. Tempting models of tight “skinny” jeans would also remain trendy. Fringy or contrast in colors stripes, grommets or applications that neatly set round holes in the fabric – on the knee, on the hips - would become a stylish touch for such models. These trousers made of denim came to us from rather a recent past. In the fashion spring-summer season 2016 they would be as popular as the models we’ve mentioned above. Sophisticated fashionistas would be surprised with a wide range of choice: classic length, shorten variants, lengthen bottom, fringe and flare that that turns into bell bottom. MONATELIER sure about deliberately shabby and stained with paint jeans in grunge style won’t be that popular in spring and summer 2016 like they were in previous seasons. 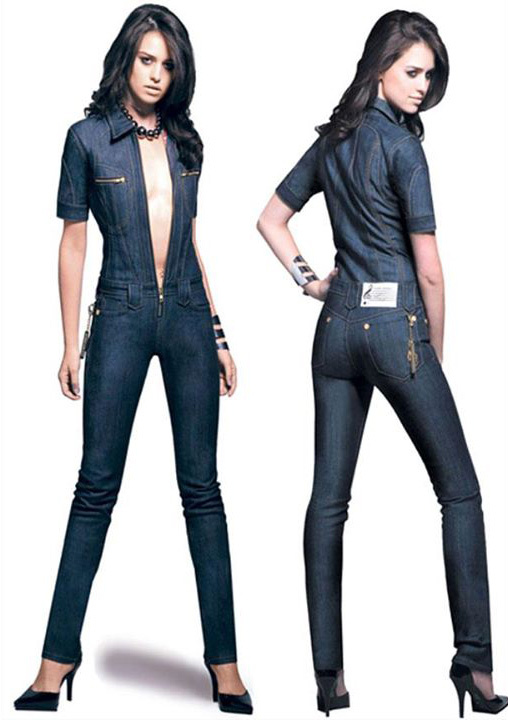 Just a couple of designers added straight leg denim-variants with big ratty holes on the knees to their collections. It seems there’s no need in multilayered clothes to warm yourself up in spring-summer season, but the fact is as follows: pair trousers+skirt made of denim of one color and texture is at the top of fashion trends in spring and summer 2016. Trousers may be flare or cigarette-cut, skirt is the same – either wide, with tale falling lower than knees or straight and shirt. Many fashion houses represented their collections and there were various types of jeans with high waist. Such models would suit women with wide hips well if they want to make them visually narrower. 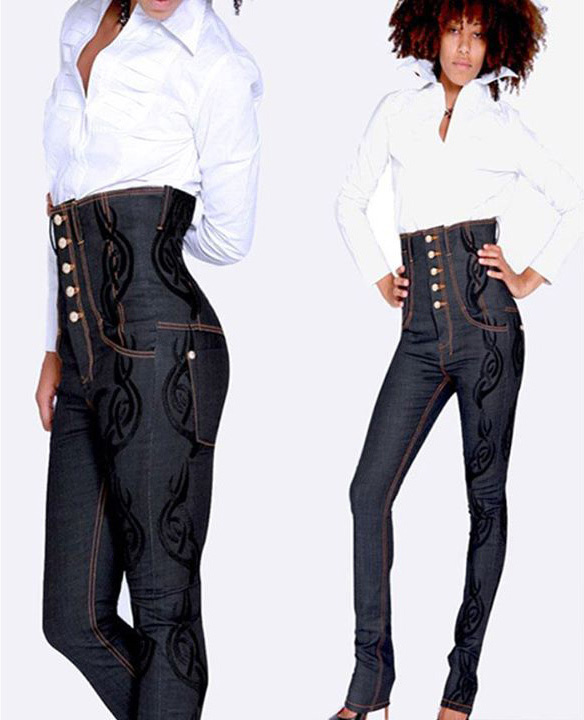 Jeans of that model will help to accentuate your style and femininity. In spring-summer season 2016 they are represented mostly by shorten variant (7/8). Palette – dark-blue. That model would suit not only skinny girls, but also for curvy women preferring “bananas” – wide on the hips and narrow in the bottom.